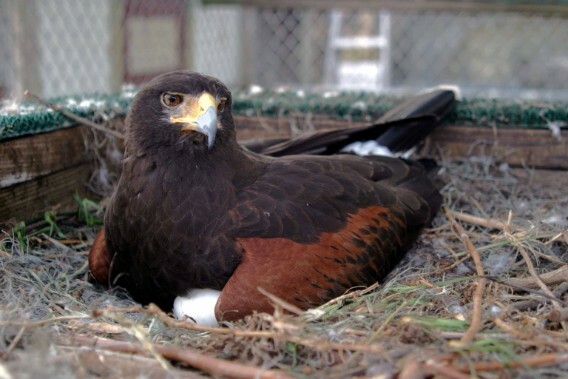 Since 1986, we have been selectively breeding Harris's Hawks for outstanding hunting ability and for other traits desirable in falconry, including keen appetite and tameness. A hawk with a hearty appetite can be flown at a higher weight and thus can achieve greater fitness and endurance. Speed and footing ability are additional traits we breed for. Some of the hawks from our bloodline, such as Sky, have exceptional visual acuity and take exceptionally long slips.